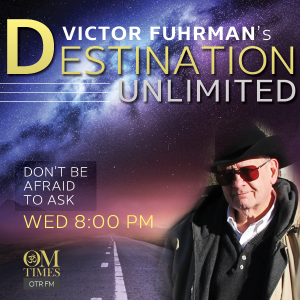 Join Victor “The Voice” Fuhrman as he takes you through a magical yet grounded exploration of the mysterious, the shrouded and the unexplained. Join him on the bridge between science and spirituality with engaging topics, fascinating guests and a Destination Unlimited! Live at 8 PM each Wednesday on OM TIMES Radio!